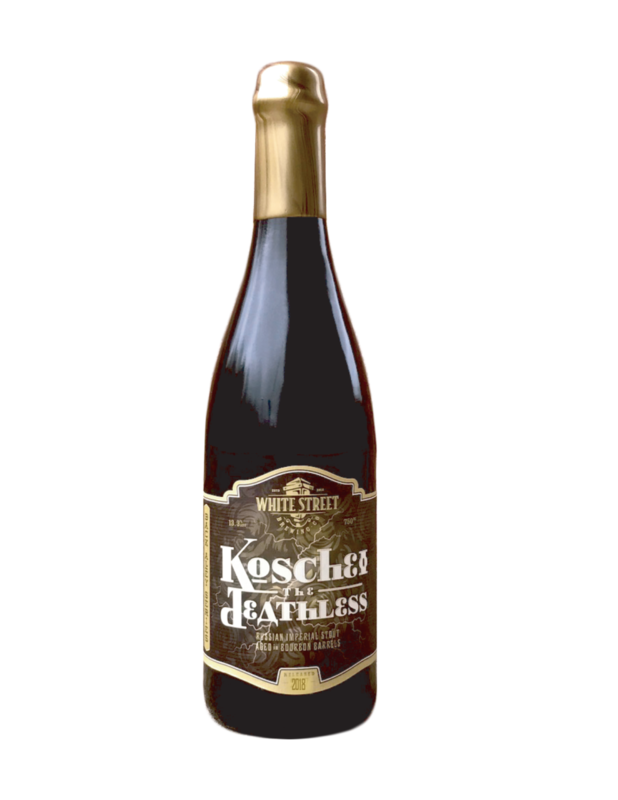 Koschei the Deathless — White Street Brewing Co.
Darker than the storm clouds Koschei the Deathless travels within, our Russian Imperial Stout possesses huge, complex character - powerful enough to steal any beautiful woman's soul. But there is hope! You must first release Koschei's soul in order to kill him, which is no easy task. It's hidden in a needle, in an egg, in a duck, in a hare, locked in an iron chest that is buried under a green oak tree on the secret island of Buyan. Beware, once you release Koschei, you may never be to catch him again. Aged in bourbon barrels until perfected.